Wow, this is a close race. After 21 votes, the God of Wind Fujin is still strong, but is now tied with the blind swordsman Kenshi - those two are neck-in-neck. Nightwolf and Kabal are closely right behind them. Sindel, who was once one of the top is now behind, but not by much. It's way to close to call -- it's still anyone's poll. If you haven't voted yet, you still have until Friday to vote. I can't confirm any of these for modding, but if modders are seeing this, it could sway them to mod whoever wins. So, choose your destiny. 26 people have voted, and the winner is Kenshi, as the blind swordsman took 7 votes. Nightwolf, Fujin, and Sindel did well at 5 votes each, and Kabal was right behind them at 4 votes. I cannot confirm whether Kenshi or the other characters listed will be modded (whether by me or someone else), but this poll was to show everyone where the community is at with the lesser-known kombatants. Meanwhile, I am working on another kombatant. No telling when she will appear, but it'll be good. And I may or may not be the only person working on a new kombatant... stay tuned. Yes!!! I'm so glad Kenshi won! It's especially refreshing to me since, in my opinion, a lot of characters created after the MK3 era (usually with the exception of Quan Chi alone) are neglected/underrated/overlooked, but thankfully Kenshi has been perhaps the sole MK5 debut who's endured ever since. Either way, I'm just glad that Kombat is not yet over in MUA! It's so exciting to see it here! I'll give you my take on that. After Mortal Kombat Trilogy (which is a very cool game featuring all characters since MK1) was made, they knew a change had to be made. Unfortunately, they stopped using real-life people to portray the characters. MK4 -- I give them props for trying their hand at 3-D, and introduced the use of weapons, and some cool characters from Mortal Kombat Mythologies: Sub-Zero, such as Quan Chi, Shinnok, and Fujin. Those were very cool characters. Kai was alright, too. My only problem with Shinnok was that he was a Shang Tsung knock-off who mimics the moves of other characters without morphing into them. He should've had his own moves. However, some other characters just didn't do it for me. Reiko was a character who just tried to mimic Shao Kahn and was looked at as a joke. Tanya (at the time) wasn't anything special -- her ending was what made her interesting. 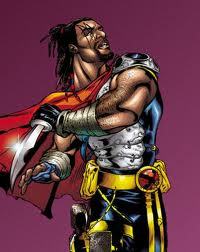 And Jarek was a cheap knock-off of Kano (the only one of the original 7 from MK1 who wasn't at MK4). They might as well just have Kano there instead of Jarek stealing all of Kano's moves. Jarek didn't get his own moves until Armageddon. So yeah, some characters were a hit or miss. MK6 - What I liked about Deception was the Konquest side-game featuring Skujinko where you traveled to new worlds like Seido (the Realm of Order) and Chaosrealm (obviously, the realm of Chaos). Chess Kombat wasn't so bad, either. However, the only new characters I liked from that game were Shujinko (only because of Konquest mode), Kira and to a lesser extent, Ashrah. All of those other characters like Hotaru, Dairou, Kobra, Darrius, and Havik were uninteresting (although some people like Havik). This is why most of those characters didn't get revived. MK7 - Armageddon to me was basically the next version of MK Trilogy, featuring all of the characters from previous games, but so many of them were losers. While I liked the stages and the Kreate-A-Fighter option (something I wished they had done in previous games), I hated the button-pressing fatalities. It was a mess. Motor Kombat was a decent racing game, though. MKX - I like this game as well, for how dark and gritty it is, and how much more gruesome the fatalities are. Plus, the veterans are older now, and their sons or daughters are introduced. I won't go into the new characters on this one, but most of them are welcome additions in general. I particularly like Tremor and Cassie Cage. I think there are far too many guest characters in MKX though. When Netherealm begins working on their next MK game, I hope they will answer the one question we've all been wondering... Who is the mysterious Shimmering Woman from Jade's MK9 ending? That is definitely a more than fair observation. I readily admit that the better of the newer characters after MK3 were more often or not less frequent per each new installment at the time; I guess for me I liked small groups of them each game that clustered into the "post-MK3" category for me (which is why I particularly enjoyed Armageddon). MKX definitely had the best amount of newer characters since MK3. If/when I get my chance to mod, I'd like to take a shot at modding these post-MK3 characters I like who I believe would be less likely to make it as mods into MUA. A lot of it is also a matter of my personal opinion, as I actually really enjoy characters others didn't find that interesting (Nitara, Ashrah, Havik, Kobra). I think a lot of it had to do with me reading more into them than what other people might have gotten out of them (I liked Nitara more for her cunning and pragmatism while being morally neutral and strangely selfish -- mostly doing her own thing -- and selfless -- freeing her realm from Outworld -- at the same time, while I found Ashrah and her story to be incredibly tragic and sympathetic). As fun as the games were, I liked the story and characters most of all (thanks in part to the organization and helpfulness of Gavok's Mortal Kombat Plot Faq on GameFaqs), which is why I was ecstatic that MK9 and MKX (and, to a lesser extent, MK vs DC) focused more on those aspects (the character interactions in MKX alone show an incredible amount of personality and thought into them unprecedented in any fighting game before it). I really like MKX's roster overall; the only thing I didn't like that much about it is that I felt like it had an overabundance of human characters, though I guess that couldn't be helped with the theme of legacy and familial relations, and also I miss some of the older characters who I wish made it back, like Noob Saibot and Jade, but at least they got a chance to shine well in MK9. I'm hoping in the future installments that Netherrealm Studios looks back on more of the post-MK3 characters and decides to give them another shot; I was pleasantly surprised when they included Bo 'Rai Cho among the last of the DLC characters (I had always believed he was a character I thought was really cool that no one else seemed to like, evoking an obese version of Jackie Chan's character in The Drunken Master). Even so, if they choose not to, I'm sure they're on the right track to making more worthy successors (no pun intended) given how on point the newcomers to MKX are. I also hope they eventually decide to bring back some of the features they chose in previous installments that showed up once and then never again, like Chess Kombat from Deception and Kreate-A-Fighter from Armageddon. I tend to like the guest characters more often than not. Freddy Krueger and Predator were really great, but I was less interested in the others. I really wish they had gotten Ash Williams from Evil Dead/Army of Darkness in MKX; I hope they get him in a future installment. I remember at one point they made an April Fool's Day joke announcing MK9 would get ported to a Nintendo console with The Legend of Zelda's Link as a console exclusive guest character (as funny as it was to me, I thought it would have been super cool; I really enjoyed playing as him in Soul Calibur II and Super Smash Bros.). As for the Shimmering Woman in Jade's ending, it's interesting to speculate who she could be. I heard a theory that she's the one who influenced Kitana in her MKX ending (I think she even shows up in the background unmentioned if I recall correctly). As for that ending itself, it was such a shocking headtrip, though I can't help but wonder if it was a deliberate misinterpretation on the part of whoever showed it to her, since the creators of MK themselves confirmed the only survivors of Armageddon were few more than Shao Kahn (most of the others being confirmed dead in the very beginning of MK9, including Kitana herself I think), though this could be another potential retcon, which MK was notorious for (though likely not in this case, I think). The new poll is tough... I have to vote for MKX, since it's the best of them all, but I do want to point out why I love each game. I also hope they have more good action/adventure games, like Shaolin Monks. I really enjoyed that one, especially getting to use Action Replay to use the normally VS mode exclusive characters (Johnny Cage, Kitana, Reptile, Baraka) in the single player story mode. Nothing can beat the Classics like MKII or UMK3 but I got to say, Shaolin Monks is the game that took MK to another level. The adventure type of game, the Player V Player mode, everything! It's part of the reason why I started this MK mods. I don't find MKX that good since Boon created a World of possibilities after MK9, it was a reboot, but for some reason it's sequel continue decades after, so much histories wasted. Plus the X-RAY moves gore, way too over the top, to the point of ridiculous. I absolutely agree on MK: Shaolin Monks. That was such a fun game. I loved how they used the various stages from MK1 and MK2 as the backgrounds. It was easy to goad your enemies into death traps such as spike pits or living trees, etc. So many familiar characters were bosses you had to fight, like facing Ermac at the Warrior Shrine. In my opinion, it was their best action/adventure game to date. I did like MK Mythologies: Sub-Zero as well, as you see him (now Noob Saibot) battling the various gods of Earthrealm, before having to visit the Netherrealm to undo his mistake. That game was fun too, but difficult at times. As for MK: Special Forces, that was a train wreck! It was awful! The only good thing that came out of that was the first appearance of Tremor, who became available in MKX later on. After 21 votes, it's a tie between the two games that I predicted would be at the top: Mortal Kombat 2011 (MK9) and Mortal Kombat X/XL (MKX) -- both at 7 votes. The rest of them aren't even close. If one of them reaches 10 votes, I'll close the poll and declare that game as the winner. I will come up with more interesting polls like this in the near future. Meanwhile, if anyone has a topic, a suggestion, a visual, or anything else MK-related to share, go ahead and post it here. A new kombatant has been unlocked. View the Warrior Select screen at the first post. And, take a look at the previous post. Help keep this thread going strong. You may have seen it, but Erik Lensherr has plans for Reptile and Rain, but they won't be anytime soon, since they didn't get enough votes in his poll. As for myself, the next Mortal Kombat character I'll work on is an interesting one that is much tougher than many are giving him credit for... you'll see. And, I am also planning a huge update for Shang Tsung, but I'm trying to gather more materials first. Stay tuned. A new kombatant has been unlocked. View the "Select Your Fighter" screen at the first post. We now currently have 11 Mortal Kombat fighters in MUA. 16 spots remain. Yes, I do have a few more planned as part of my Summer of Shadows event, but there is no way I'll do them all. So, who else is making MK mods? Will there be a full roster of kombatants? We'll just have to wait and see. If you wish to create videos for some of these MK character mods, go right ahead. In the meantime, here's a question: What is your favorite Stage Fatality? Is it The Pit? Dead Pool? Kombat Tomb? The Subway? There's a lot of them out there. I happen to like The Prison from MK4. I thought it was cool to see your fighter spin the enemy around in a 360-degree motion before throwing them into the large fan, shredding them, with their head hitting the camera! The background music was cool as well -- a remix of The Prison from MK Mythologies: Sub-Zero. The Street from MK9 was good too, seeing the enemy get fatally hit by a taxi! And, I also like The Kove from MKX where a giant octopus pulls the enemy into the ocean, then rips his/her body apart as they are drowning underwater. I'd love to make MK mods, to the point where there's more than 27 overall even, but I'm nowhere near ready yet. I also don't want to interfere with anyone else's modding plans; my guess is it'll be a few months before I can make any since I'm still a complete beginner. Still, there's little else in life I want than to be able to contribute to this. The greatest hero died because of many. Outsider, congratulations! His latest releases are really incredible. I'm very impressed with the Mods MK. Now to complete, this new Stryker mod is diversifying my game with style. Thank you! My technical issues with my PC have been resolved. Although my time is still not the best, in the last hours of the night I will make skins again. I'm so excited!!! I can't wait to see what else Outsider has planned for MK in MUA!